Hannah joined Page Seager in August 2016. Hannah is a member of the dispute resolution team and assists the team in advising clients on a range of commercial disputes. 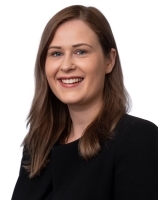 Hannah’s focus is on assisting clients in relation to contractual disputes, compliance with environmental laws and recovery of secured debt. acting as instructing solicitor in trial proceedings in the Federal Court of Australia.